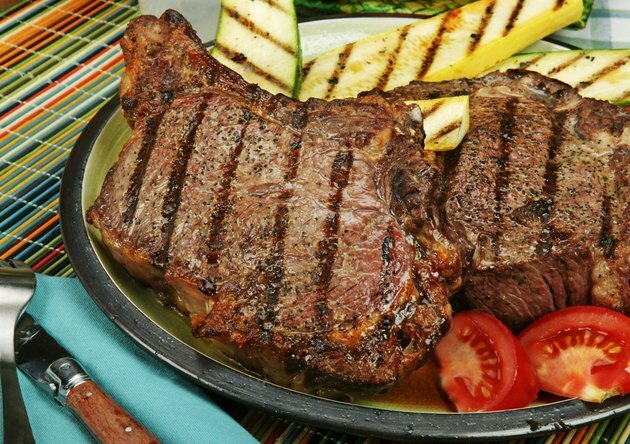 All of the calories in steak come from fat and protein -- you won't get any carbohydrates from meat. 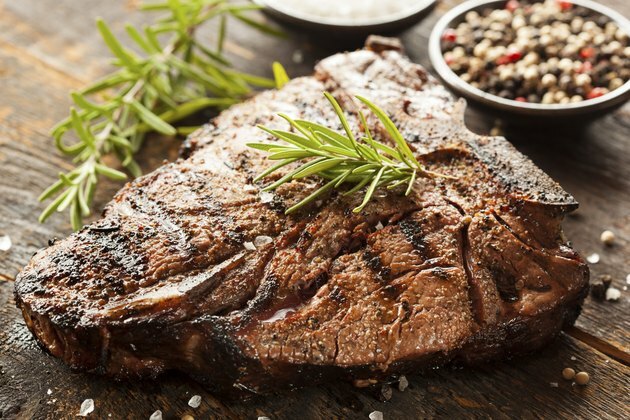 Depending on how much fat is in the steak and whether or not you trim off the fat before eating, your favorite entrée can have anywhere from 30 percent all the way up to 60 percent calories from fat. It's always best to trim away any visible fat to keep your caloric intake to a minimum. Beef shoulder and flank steaks are very lean and low in calories. For less than 160 calories you can have a 3-ounce cooked portion of either of these cuts of meat. If a top sirloin or even a porterhouse is more your preference, you'll get around 180 calories from a 3-ounce broiled steak. Beef tenderloin tops the list with nearly 230 calories from a 3-ounce cooked portion. How Many Calories Does a Beef Steak Have?